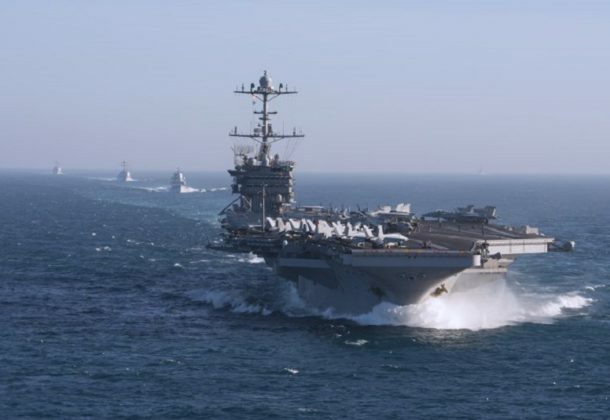 The resurrected 2nd Fleet will become operational by early next year, reports Navy Times. “We are moving out rapidly to build a 2nd Fleet that is fit for its purpose, but more importantly fit for its time,” RADM John Mustin said. “Put simply, 2nd Fleet will focus on forward operations and the employment of forces in the Atlantic.” The fleet will oversee the training of Navy forces on the East Coast. Military.com says the 2nd Fleet will be “leaner, agile, and more expeditionary” than it was when deactivated in 2011. The latest Pentagon Missile Defense Review, rolled out Thursday, calls for research and investments in laser technology, the F-35 as an ICBM killer, and putting interceptors in space, reports Defense News. The Navy is moving toward settling on an approach for recapitalizing on its aging sealift fleet, moving away from a single common hull for five missions, reports Defense News. The Navy also plans to spend this year taking the first few steps to a markedly different future for its surface fleet, which could change how the fleet has fought since the Cold War, reports Defense News. Though it might seem counterintuitive, the fleet is looking to get smaller. Here’s what could be ahead in 2019. VADM Richard Brown told the Surface Navy Association that he has called for his crews to rapidly develop “a sense of urgency” about the Russian and Chinese navies, reports Breaking Defense. British Royal Air Force personnel have arrived in Florida to begin training with the Boeing P-8A Poseidon maritime patrol aircraft, IHSJane’s 360 reports. The Pentagon believes that the Marine Corps’ new CH-53K King Stallion heavy-lift helicopter — which at, $144 million apiece, costs more than the F-35A Lightning II joint strike fighter, is “the most powerful helicopter the United States has ever fielded,” reports Task & Purpose. Researchers have identified a new kind of malware that they say can remove cloud security products, reports The Hill. The report is particularly concerning as more and more private and public groups move toward using the cloud for online data storage purposes. A venture between Boeing and Lockheed Martin will conduct the final design review for its new flagship Vulcan rocket within months, reports Reuters, as the companies heads for a showdown with Elon Musk’s SpaceX and others in the launch services market. Stars and Stripes reports a leaking seal prompted an Air Force F-16D Fighting Falcon to make a precautionary landing at a Japanese regional airport last week. Residents near the airport were reportedly alarmed by the unscheduled landing. The newest member of the House Armed Services Committee is a former Navy commander, reports Navy Times. Newly elected Congresswoman Elaine Luria (D-VA) represents the Hampton Roads region. 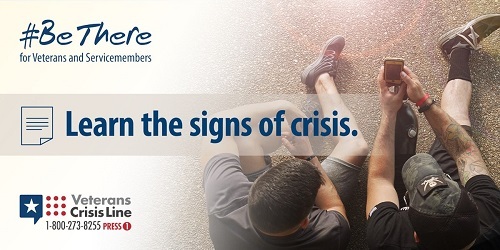 Veterans Affairs officials plan to roll out new partnerships with at least seven states to focus attention and resources on preventing veterans suicide, reports Military Times. Maryland’s Gov. Larry Hogan was sworn into his second term last week touting the state as a place where political leaders govern without polarizing rancor, reports Maryland Matters. The Baltimore Sun offers the full text of the inaugural speech here. Bell Boeing Joint Project Office, California, Maryland, has been awarded an estimated $143,863,184 firm-fixed-price requirements contract for performance based logistics and engineering support for the V-22 platform. This was a sole-source acquisition using justification 10 US Code 2304 (c)(1), as stated in Federal Acquisition Regulation 6.302-1. This is an 11-month base contract with four one-year option periods. Locations of performance are Texas and Pennsylvania, with a Nov. 30, 2019, performance completion date. Using military services are Navy, Air Force and Marine Corps. Type of appropriation is fiscal 2019 through 2020 various Air Force, SOCOM and Navy appropriated funding. 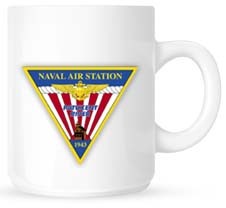 The contracting activity is the Defense Logistics Agency Aviation, Philadelphia, Pennsylvania (SPE4AX-19-D-9410). Raytheon Integrated Defense Systems, Tewksbury, Massachusetts, is awarded a $38,140,569 cost-plus-fixed fee, cost only contract for Dual Band Radar (DBR) Design Agent Technical Engineering support efforts. The work to be performed is for engineering services for DBR system upgrades or redesigns, engineering change proposals, product support, test equipment procurement, installation integration support, combat system integration testing, program management support, studies and analysis. This contract includes options which, if exercised, would bring the cumulative value of this contract to $98,839,761. Work will be performed in Tewksbury, Massachusetts (70 percent); Andover, Massachusetts (20 percent); Moorestown, New Jersey (5 percent); and Arvonia, Virginia (5 percent). Fiscal 2019 shipbuilding and conversion (Navy) in the amount of $1,737,000; and fiscal 2019 research, development, test, and evaluation funding in the amount of $800,000 will be obligated at time of award and will not expire at the end of the current fiscal year. This contract was procured using other than full and open competition under the statutory authority of 10 US Code 2304(c)(1) – only one responsible source and no other supplies or services will satisfy agency requirements. The Naval Sea Systems Command, Washington, District of Columbia, is the contracting activity (N00024-19-C-5509).